Many people are turning to vegan diets, and not always for the same reasons: some are ethical, some are environmental, and others are for health. Whatever the motive is, it can be a good step towards living a healthier life, but you might need a little help along the way. There are three areas that vegans need to focus on to ensure they get the most out of their diets: finding sources of vitamin B12, D, and fatty acids; getting enough protein; and finding alternatives to the foods you might miss the most! Vegans are at a higher risk of vitamin B12 deficiency, and a lack of this important vitamin can lead to fatigue, anemia, infertility, damage to the nervous system, and heart disease. It’s important to take supplements that have a bioavailable form of B12 known as methylcobalamin, or plant-based foods that are fortified with it. Vitamin B12 is also best absorbed under the tongue or via an injection. Vitamin D is an interesting one, because while we think of dairy as an important source of it, dairy naturally doesn’t have all that much – it’s fortified, and has been since the first half of the 20th century. It makes sense, given how vitamin D and calcium work together to help with bone health and that vitamin D is really hard to get from food sources – the vast majority of natural sources are from animal products. Take supplements (vitamin D-2 or “cholecalciferol” is vegan; vitamin D-3 supplements are not), drink vitamin D-fortified soy or almond milk, and get out in the sun! Omega-3 is very anti-inflammatory and it’s good for your heart, brain and skin. It is available in a plant-based form known as alpha linoleic acid (ALA), and it’s essential because your body can’t make it. ALAs are plentiful in flaxseed, chia seed, hemp, and walnuts. The problem with ALA is that for humans, it doesn’t get converted to the much needed EPA and DHA very easily. EPA and DHA are another type of omega-3 that are also essential and are found in fish. There are vegan sources of EPA and DHA from seaweed and supplements to support you. A Vegan diet is high in omega-6 which is found in nuts and seeds. Too much omega-6 can have a more inflammatory effect on the body so it’s important to balance omega-3 with omega-6. Just because you’ve given up on meat, doesn’t mean you’ve given up on protein. Protein powders and supplements are fairly common for vegans, and there are plenty of options from vegan sources: hemp, pea, beans, and rice. People who think “protein = meat” are suffering from a huge failure of imagination! It’s important to choose one that’s complete, consisting of all nine essential amino acids that your body can’t make itself. It’s not hard to find a good blend. Find Great Alternatives to Your Favourites! Ultimately, it is important that you get your vitamins checked in your blood to ensure you are not deficient. Talk to your naturopathic doctor to confirm you are having a balanced diet. By: Steve Spriensma, blogger with Goodness Me! Natural Food Markets. 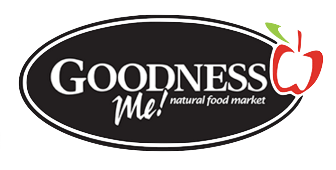 Head to Goodness Me!’s online store for more healthy inspirations, and check out our Vegan collection here for your new favourites!